But then there’s the voice inside that says we need to decide. What are we going to do for the rest of our lives? That voice doesn’t get disarmed by jokes and we can’t hide from it. Here’s the answer for that voice and to totally de-stress about the whole issue: think like a tree and not a train. Let me explain. The traditional group-think is that we need to get a job. To get a good job, we should get a college degree — probably from the best school that will accept us and our money. So we need a good SAT score, a high enough GPA, some extra curricular activities, and a killer essay. Best way to get a top GPA is to take honors classes in high school: an ‘A’ in an honors class can be worth 20% more than a normal ‘A’ when computing your GPA . But the honors classes have prerequisites, so now you’ve got decisions in middle school or even grade school that affect your earning potential for the rest of your life. Sound intimidating? It’s no wonder that we can feel like we’re a train barreling down the tracks of life. 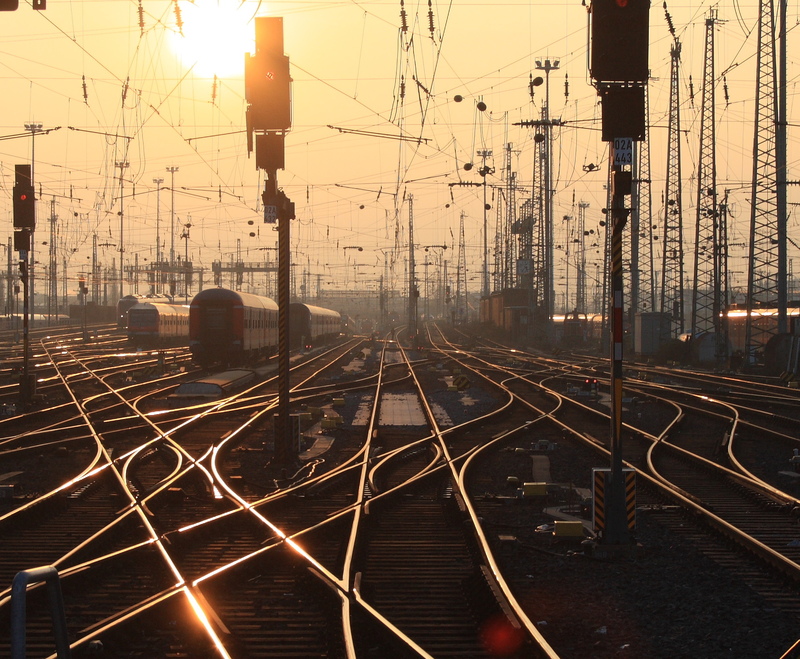 Life’s choices are the switches that lay in the tracks ahead. We can plan for them, but we often can’t see them until we’re practically on top of them. Trains don’t make U-Turns, so you better know where you want to go, and don’t mess up. If we make the wrong switch, we’ll never get a second chance. 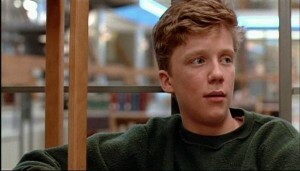 Anthony Michael Hall in The Breakfast Club(1985). His character was suicidal after a failing grade in shop class ruined his GPA. A clear example of the dangers of thinking like a train. Instead, life is really like a tree. It blindly sends shoots out in all directions. The ones that receive light continue to grow into branches. The ones that don’t kinda hang around just in case the situation changes. It doesn’t have life planned out, it just has a plan: grow leaves up top, grow roots down below, and strengthen the core to hold it all together. No one asks a tree to declare where it will put all its leaves in advance. That would be foolish. What if disaster happens and the roots get washed out on one side? What if there’s a drought and the tree can’t grow much one year? Is the tree affected? Yes. Does it give up? No. Like trains, tree’s don’t make U-Turns. But trees are a much better model to think about how to run our lives. It allows for growth, change, adaptation, and unexpected opportunities. Trees can capitalize on targets of opportunity. If Bill Gates, Larry Page, Sergei Brin, or Mark Zuckerberg decided in high school what they were going to do for rest of their life, would they quit college to start Microsoft, Google or Facebook? I’m guessing not. Are the thousands of others who drop out of school to start a business and fail doomed forever? Not really. I never picked one thing I wanted to do for the rest of my life. I’ve had several careers over the years and I enjoyed every single one of them. I’ve also made some huge mistakes in life. Some disasters take years to recover from, but twists and turns can add a lot of character. 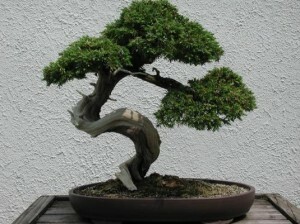 Bonsai probably have the most brutal life of any tree, but their flaws are what makes them so beautiful. So whenever you get stressed because you feel like Life is going off the tracks, maybe the real solution is to stop thinking like a train and think like a tree. Tree vs. Train – perfect description. I felt on was on that train my whole life until a few years ago. Breaking off and choosing something else was one of the best decisions I’ve ever made.